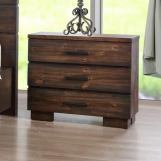 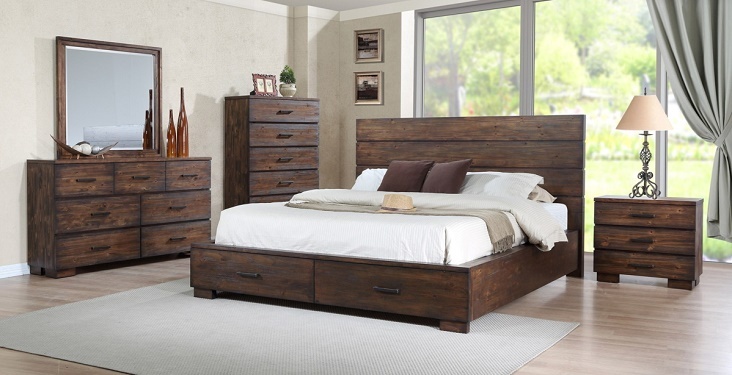 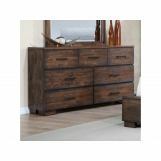 This bedroom collection dresses up minimalist bones with a rustic reclaimed-look finish. 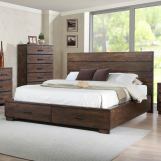 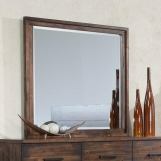 The pieces have clean designs with flat drawer faces and contemporary hardware, pairing nicely with the planked-design of the distressed wood. 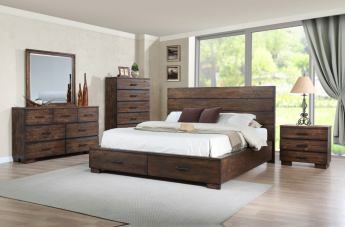 The low profile bed has two drawers built into the footboard, adding convenient extra storage space. 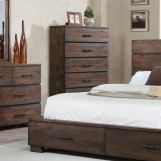 The collection is sturdily constructed of solid wood and drawers feature English dovetail construction.